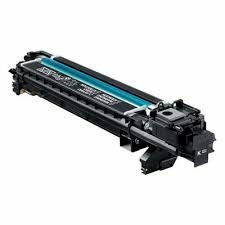 Konica Minolta Genuine OEM A0WG03G (IUP-14K) Black Imaging Unit (30K YLD) for Bizhub C25, Bizhub C35, Bizhub C35P s by Konica-Minolta at MDA-MA. MPN: A0WG03G. Hurry! Limited time offer. Offer valid only while supplies last. If you have any questions about this product by Konica-Minolta, contact us by completing and submitting the form below. If you are looking for a specif part number, please include it with your message. Lexmark, Photoconductor Kit Lccp For Lexmark, Xs364, E260, 360, 460, 462, X264, 363, 364, 463, 464, 466 "Product Category: Supplies & Accessories/Printer Consumables"